The surface of Europa as imagined by a player in Media Molecule’s upcoming PS4 game Dreams. One of the most appealing aspects of Dreams is that you don’t have to learn every one of the game’s design tools to create and share stuff. People can work on just making music or designing a particular character. Other players can then take these individual components and incorporate them into something more complex. One of my favorite creations so far is this person’s fried eggs. They look glorious, on par with foods you can prepare in something like Final Fantasy XV, except in Dreams they can be shared, augmented, and repurposed over and over again for whatever wild idea pops into someone else’s head. The eggs dreams are made of. Some of the other cool stuff people have been making recently in the Dreams beta includes a super-detailed and brooding recreation of a metro station that was designed for a shooter someone else had made in the game. There’s also this a platforming level of a pea trying to make its way around a kitchen to get into a pot of water to boil itself. People have already started testing out games specifically designed for speedrunning. 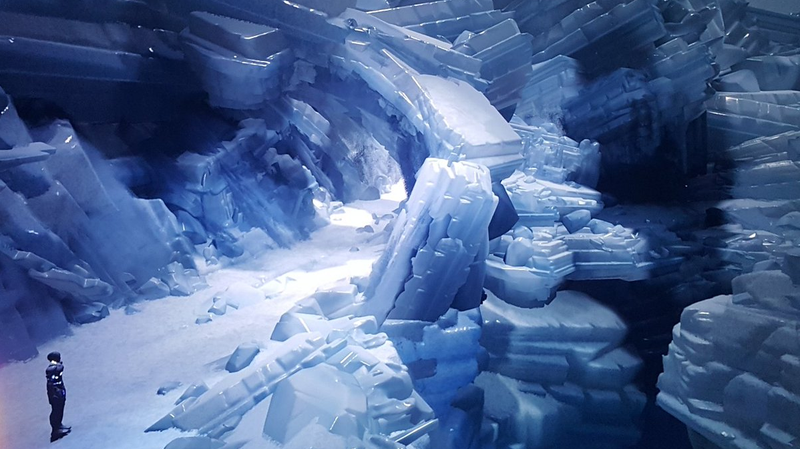 And someone recreated the icy surface of Jupiter’s Europa moon, and I want to go to there.